"We would struggle to find another first class facility large enough to hold our event on the Northshore." The Harbor Center is excited to provide additional marketing value for your upcoming event. To increase your event success, the additional marketing resources outlined below are provided complimentary when you book your event. 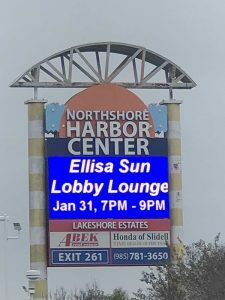 In selecting to host your next event with The Harbor Center, we are happy to offer a listing in our monthly electronic newsletter that is sent out to over 2000 e-mail subscribers. Details of your event, including name, date and times, as well as your contact information and a ticket link will be provided at no cost to you. The Harbor Center is excited to be part of social media, maintaining a Facebook Fan Page and Twitter account. Check out our Facebook pages and “Like Us”. Our social media efforts are used to promote upcoming shows that are open to the public and any other event as per requested by the planner. Click here to see our Facebook Fan Page.